OMG Roofing Products introduces a new line of retrofit roof drains called Hercules-Plus. The drains feature integrated vortex breaker technology. Vortex breaker technology helps improve drain performance by improving water removal off the roof. According to the manufacturer, independent performance testing shows that Hercules-Plus RetroDrains provide up to 2.5 times greater flow capacity than original Hercules Drains without vortex breaker technology. Faster water flow off the roof also means that the drains get excessive weight off the roof faster. In addition, integrated vortex breaker technology greatly reduces the chugging effect that occurs when a vortex collapses, which can overload the plumbing system. Hercules-Plus RetroDrains are available in four sizes: 3 inches, 4 inches, 5 inches and 6 inches, and with an optional TPO or PVC coated flange for direct membrane attachment. 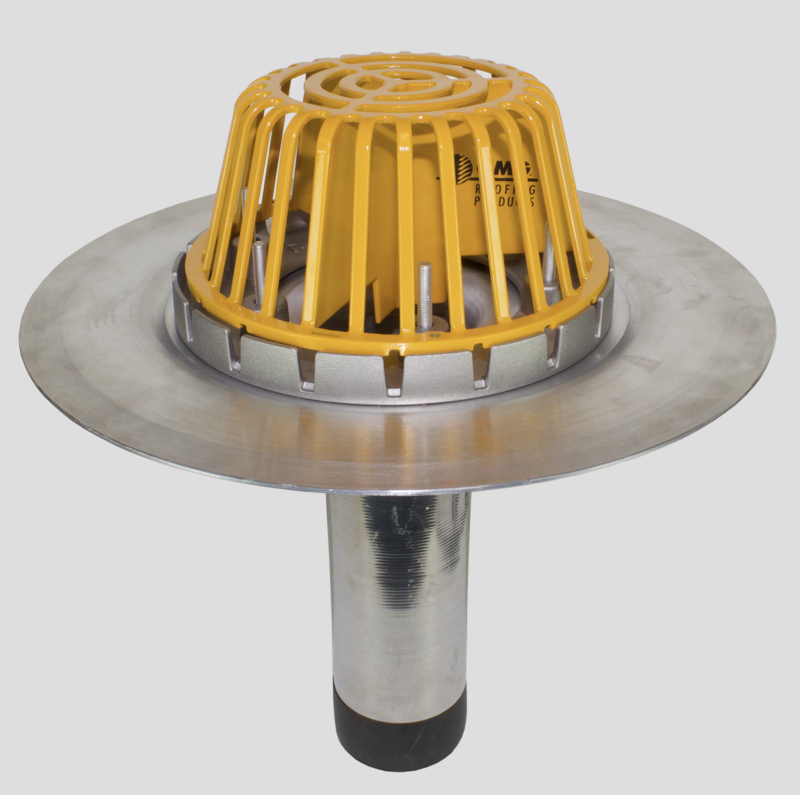 Strainer domes are made of heavy-duty cast aluminum which will not rust for long life on the roof. In addition, the safety yellow powder coat makes the Hercules-Plus strainer domes highly visible to help minimize rooftop trip hazards. For additional information, visit www.OMGRoofing.com.